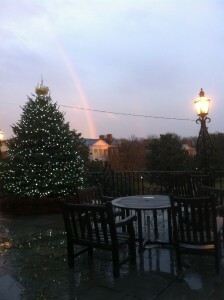 The view from Reynolda Hall facing the Mag Quad after heavy rains on Dec. 7, 2011. 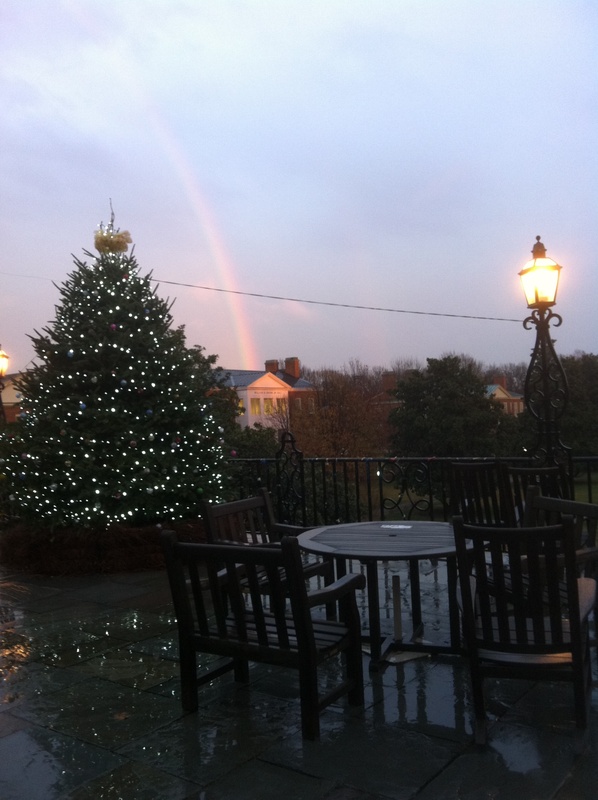 As the rain subsided yesterday evening, a rainbow formed over campus. This was the view from Reynolda Hall facing the Mag Quad around 5 p.m.
Share your unique photos of campus activities and scenery with your colleagues on Inside WFU. Send them to us with a brief caption.